New Year videopostcard contest. 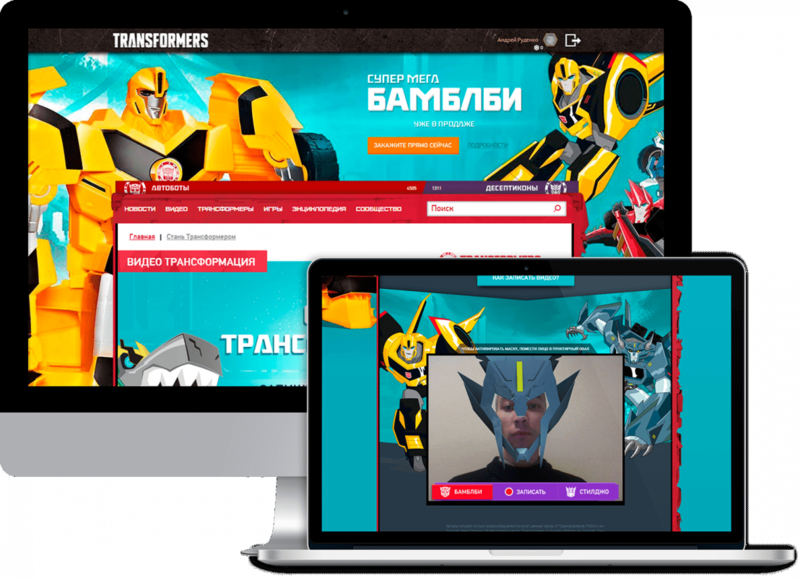 Guests of the transformers-russia.ru website are offered to record a Happy New Year greeting as one of the two transformers. 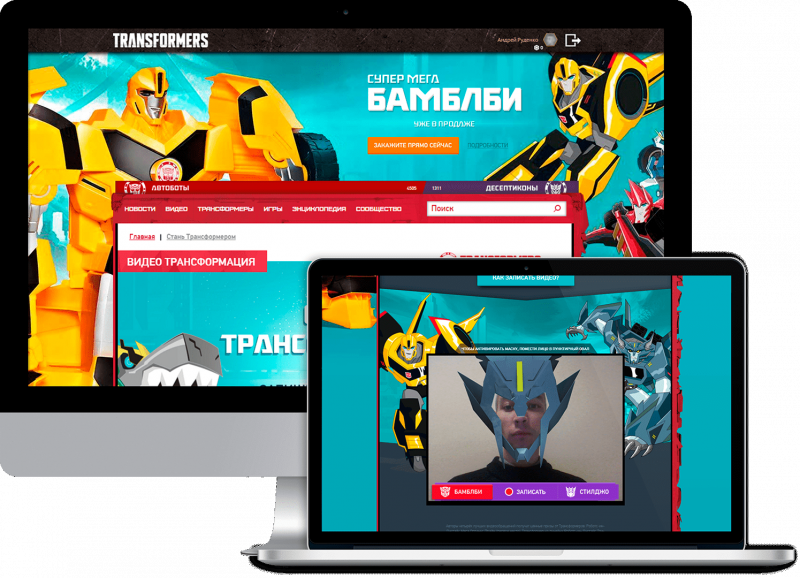 The web-camera captures facial movements, and a special recognition algorithm places the 3D-model of the helmet on it. Authors of the best greetings received a prize.